Audio software, video software, programs to watch movies, software to listen to music, television software, programs for free download GS Player, Lewan Player, THE PLAYER, VideoTrimmer, 8tracks, Movie Edit Touch, Plex, iHeartRadio, PressPlay Video, TuneIn Download for free! »» Free download GS Player! GS Player ::: a computer program that allows users to play multimedia content. Using GS Player can watch movies and listen to music. GS Player is compatible and can play the most popular multimedia formats. »» Free download Lewan Player! Lewan Player ::: a computer program that allows users to listen to music. Using Lewan Player can listen to music in the most popular audio formats. Lewan Player allows you to manage audio files and create playlists. »» Free download THE PLAYER! THE PLAYER ::: a computer program that allows users to watch movies and listen to music. Using THE PLAYER can listen to music and watch movies in the most popular formats. THE PLAYER has different play modes and can be customized. VideoTrimmer ::: a computer program that allows users to cut video files. Using VideoTrimmer can trim or remove unwanted parts of video files. 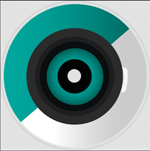 VideoTrimmer supports and is compatible with most popular video formats. 8tracks ::: a program for different devices that allows users to listen to radio stations. Using 8tracks can listen to almost any song you want for free. 8tracks provides access to thousands of radio stations and create playlists. »» Free download Movie Edit Touch! 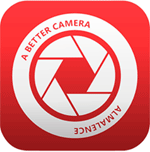 Movie Edit Touch is compatible and can work with most popular video formats. Plex allows synchronization between different devices and supports most popular formats. iHeartRadio is one of the best programs to listen to Internet radio. »» Free download PressPlay Video! PressPlay Video allows the use of subtitles, apply various filters and manage video files. TuneIn is one of the best programs to listen to Internet radio.